Golf is one of the hardest sports to just “pick up”. At least in my opinion. To be able to hit a small spherical ball 250 in a straight line is a big order for a lot of people. 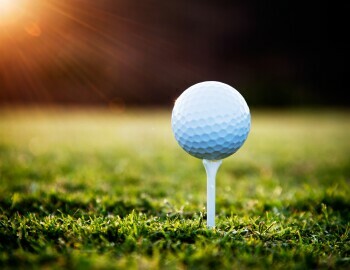 Even harder so is being able to hit this ball with such accuracy that you are able to pick where on the green you’d like to put this ball to have a decent chance to putt the ball into a hole that about 2 golf balls length across. Some people practice and hone their skills for years just to have a decent shot at becoming a respectable golfer. A very rare few possess a natural gift where they are able to master these things in such a short amount of time that most of us would think that they are wizards and witches. The PGA tour is evidence that magic is real in our world. These elite players create some of the most unbelievable shots that do make us question reality sometimes. And only a select, lucky, hardworking few ever taste the glory it is to walk among the greats and go for the chance to be a PGA Golf Tour Professional. An even greater glory is the Olympics. Whenever someone thinks of the Olympics, usually the first thought is that of someone who has dedicated their life to the sport, trained countless hours, and probably could kick all of our butts in the subject. Golf in the Olympics is an event that I personally think that is a long time coming. In the history of many, Golf has only been in the Olympics twice, in 1900 and in 1904. A century is a long time to wait on the tee box, at least in my opinion. This year in Rio, athletes such as Rickie Fowler, Justin Rose, Henrik Stenson, Lexi Thompson, Brooke Henderson, and many more can start to shoot for the goal that most professionals dream about. While shooting for one of the 4 majors is usually just a pipe dream for most, going for an Olympic Medal will guarantee your place in history as one of the best golfers ever to live. So with that being said, GO USA!